Wisdom is the observer of awareness's participation. To become aware, even of your own awareness, is participation. Awareness is the participator in life; it's the creator of all human developments. To become wise, even of your own participation, is observation. Wisdom is the observer of life; it's the observer of all developments. Wisdom gives the awareness's participation balance within its motions, in turn, creating a more harmonious existence. Where awareness will often only become aware therefore a participator of the dissimilarities or similarities, wisdom is the observer of both dissimilarities and similarities; this is where the balance lays. I recently had a good friend of mine share an article with me that they recently themselves came across, it's to do with a hypnotised woman describing the upcoming changes in the world. I will insert the link to this article. Of course the most bizarre and incomprehensible points relate to my own writings going back to my first blog in 2011, and even to one of my first posts titled vibrations alive. Vibration alive relate to everything is alive in one sense or another; all is of one consciousness even while being expressed and experienced as a separate consciousness. How can a rock or a pen be alive for example? Physicality: Because we are conditioned to 3rd dimensional thinking and that we perceive primarily through physicality, a focus on the satisfaction of physical drives and appetites, we presume this is what all physical realities are like. In actuality, our perception and experience of our kind of 3rd dimensional physical being is minuscule compared to what is really of physical being. To us, everything alive means being of a biological form, all other forms other than biological is not alive and of non-conscious relatives, this is basically why many people cannot perceive the mind existing void of a physical brain. We relate that all biological form is alive but we don't even relate that all biological form is of a kind of consciousness, in turn, our own relative thinking is limited to certain perspectives of what is and isn't alive and/or of a consciousness. However, the good news is for anyone who is aware and also wise, our comprehension of everything being of a consciousness and alive, will come within the process of our own consciousness evolving from human consciousness. Yes that is right, human conscious will not evolve, we will instead evolve from human consciousness. Human consciousness is naturally limited to certain perspectives and perceptions; this is what makes human consciousness human. Our perceptions of a higher and/or a God like consciousness, was to assist in human consciousness becoming less destructive, for the collective consciousness as a whole, this clearly didn't occur. How many people into spirituality today have a disdain for religion for example? Religion had/has a purpose which it lost and found many times over, particularly in the west and parts of the east. The purpose of religion was to keep us connected to this God consciousness, basically, to balance out the ignorance and limitations of human consciousness with an unlimited consciousness. Today, atheism/Zionism is in control of the physical world, and we wonder why the world is in a mess, a lot of us have obviously simply lost this connection. 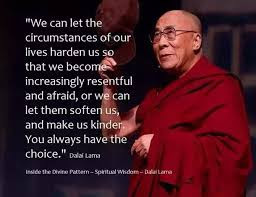 Even a lot of spiritually aware people have lost this connection through their disdain and judgment of negatives like religion; many of these people even have disdain of the expressions of balance!! Yin and Yang: Let's look at the yin and yang symbol, it represents pure balance in that yin is apart of yang as yang is apart of yin. 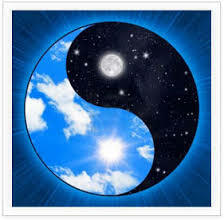 I should state I am not advocating Taoism here, I think the yin and yang symbol is a perfect representation of pure harmonious balance that is all. What this means is there is no separation between good and bad, light and dark, negative and positive and even love and hate. How many of us only desire to become aware of the dissimilarities of love and hate? Within perceiving like this, all we will create is even more separation, not less, and we still wonder why the world is still in mess. We have separated the yin and yang by only desiring to become aware of the dissimilarities of all judged negatives and positives. Actually, the similarities between, for example love and hate, are insurmountable, of course you will only want or be able to acknowledge this if you also become aware of their similarities which far outweigh their dissimilarities. I find it strange that an intelligent being hasn't even worked out the importance of the yin and yang symbol. I think we are only intelligent in the areas we desire to be intelligent in, of course our bias for the yin and yang symbol might have something to do with this, it's after all of another ideology/philosophy. The separation expressed within this human consciousness is incredible through bias and only desiring to be aware of the dissimilarities between everything, not the similarities. The wise always look for the similarities while being aware at the same time of the dissimilarities. The dissimilarities never become a bias for the wise. Contradictions: Many would say that it's unintelligent, and even hypocritical, to believe in one thing one moment and something quite the opposite in the next moment. Within a reality of motion, therefore a depiction of an active existence, a finite existence, I know of many people to change their minds, for example, one year they don't believe in climate change and the next year they do, which is usually spurred on by becoming more aware void of bias. One moment people like me are stating it's wise to become aware of being the observer, motionless, rather than a participator, the next moment we are participating which causes motion. Only through contradiction can a consciousness evolve, becoming fixated to an idea or an ideology or a particular type of philosophy, is not evolving. Contradiction allows one's own consciousness to evolve; this perception was endorsed by an 80 odd year old yoga teacher/friend of mine. Expect to be contradictive when connecting our passive existence with an active existence. We can be contradictive in an active existence; we of course are going to be more contradictive at times when connecting these two existences. Simply allow yourself to evolve void of critical judgment. I am actually talking about a contradiction in terms of the yin and yang here in perfect balance and harmony, not a contradiction in terms of separation or the awareness only of the dissimilarities of all things. To put it simply, there is no separation between being the observer and a participator, only when there is separation, through only being aware of the dissimilarities between these two, can we become truly contradictive. Basically, contradicting yourself, especially through being aware of the similarities of all things, is not just intelligent but a wise thing to do. Contradictions in this sense just shows how wise a person has become, however, if I was to contradict myself while only desiring to be aware of the dissimilarities, this isn't a sign of wisdom for their is no wisdom in extremes and imbalances or bias. As it's going to be impossible for a lot of people to comprehend the present consciousness shift, what I have written here is going to be incomprehensible. My best advice is, try to condition yourself to become aware of the similarities of all things. We have simply become too conditioned to desiring to become aware of the dissimilarities within all things. Only through these extreme separations have we created the reality we have today. I once walked into a barroom situation and completely passively and instantly changed the atmosphere. I did not do this purposely because I try not to interfere or change other people's environments, this would be like forcing my own environment onto others. Today, I am more mindful in how I interact with other people's environments. So what is so wrong in changing a non-passive environment to a passive environment? There is nothing wrong in doing this; it's what humans naturally do in accordance within their own environment. An environment to me represents a person's path in life, has anyone the right to change or influence another person's path especially without consent? What abut the collective human journey as a whole, has anyone the right to change this from its present status. The opposite of passive is active, we might then presume within this that passive is positive therefore active is negative. So it's alright to change an active (negative) to a positive, but it's not alright to change a passive (positive) to a negative!! Humans naturally influence each others paths without consent, either is be passively or actively, but of course passively influencing and even changing other people's paths is more acceptable!! Well there you go, I couldn't go on with this post at this point for the reason set out below. I received the following reply in regards to my last post while I was writing this post. What I find strange is that a lot of new age spiritually aware people believe in the hundred monkey theory, where one hundred monkeys influence the rest of the monkeys in the world to become passive in nature. Children from birth naturally express an unconditional love and/or acceptance, for example, people of other cultures and races without bias or prejudice. If the hundred monkey theory is correct, why haven't these millions of children influenced a consciousness to become more passive and accepting in nature? Where you have an already established environment that is conducive to an active mentality as opposed to a passive mentality, and that you then have billions of people who are active by nature, going by the monkey theory, the active is going to win out all the times. The monkey theory actually works but in reverse to what a lot of people think in my mind, this is so evident. A lot of spiritually aware people are delusional because they exist in a disillusioned environment of an imbalance of active intentions. This delusion that the hundred monkery theory is going to work in a passive way is fraudulent. However, it is natural for a disillusioned consciousness to become delusional; it's actually a very good copping mechanism psychologically, but it's also a lie. Both active and passive intentions naturally create delusions and lies, but a balance of the two naturally create real realities and truths. If you look around the world today, it's full of extremes, there is very little balance expressed. Where there is no balance, there is naturally going to be no wisdom. So why can a person like me, go into an active situation and instantly passively change an environment when there are more monkeys that are active? How many spiritually aware people would critically judge that a barroom situation is negative, especially if it's noisy, abusive, drunkard, aggressive, smelly and so forth? Drinking alcohol is critically judged as a negative to start with. How can you change an environment you have disdain for and/or try to avoid at every level? To change any environment, especially an active environment, you must first desist in disdain and critical judgement of an environment you want to change. I however stay away from changing other people's environment/paths unless called upon to do so; even then I consider that the soul has a different idea to what the human has of their path. What we are going through has as collective consciousness is part of the process; interfering with this process isn't warranted in my mind, not at this point. We are simply still way too critical, actually, we seem to be spiritually critical more than ever it would seem. Look at it this way, a highly active barroom situation is normal for an active consciousness and a highly active consciousness is naturally destructive. Once you accept this, only then can you begin to change an environment. Why then don't the millions of children, who are not critical with their judgment, influence this reality to become more passive? It matters not how old a body and brain is that a consciousness resides in is, all consciousness is the same while passive, non-active. Basically, all motionless consciousness is of the same exact consciousness, only while experiencing active consciousness is there a difference. Children from birth are being conditioned to active consciousness while existing in an active environment; their focus is on active consciousness, not inactive or passive consciousness. If the majority of children were brought up in a passive environment, you would soon see a change. The powers at be are doing everything to keep this reality active, coaxing us to critically judge even at the spiritual level is certainly apart of this conditioning. Throughout the ages, it is obvious that human consciousness is about awareness, spirituality, science and philosophy, are prime examples of our desire to be aware. Even human instincts are about being aware, it is actually our human instincts that inspire us to become aware of our environment. Because human consciousness is plagued by a controlling ego, unlike many other conscious entities, our instincts have become self-centred and destructive, in actuality, our instincts have become our nemesis. When a consciousness becomes self-destructive to the point of causing misery and death, it's a sure sign that this kind of a consciousness is a nemesis onto itself. Of course it is obvious that human consciousness has always been a nemesis onto itself, however, intelligence void of wisdom has exasperated or hugely added to this dilemma. We have come to the point of the post where a lot of people would say I am just being negative; we need to be only focused on the positive to create a more constructive reality. The problem with this is, at no point in human history has this kind of approach worked, in actuality; it has created quite the opposite as is obvious today. Extreme actions and denial or ignorance does not create constructive realities; my own instincts/awareness tells me this. It is wise to be aware that instincts are not necessarily about awareness as a whole, especially when instincts are primarily controlled by the ego. In this case, instincts are only about the desire and fear, for example, a desire for more wealth and power or of only being of a higher stature spiritually. Human consciousness so easily limited by these desires because it is plagued by the a controlling ego, of course if we were truly aware, we would realise that human consciousness doesn't have to be plagued in this way. Of course to be aware of this takes wisdom to realise this in the first place. For a consciousness that has obviously shunned wisdom in place of intelligence, this realisation is virtually going to be impossible, unless human consciousness is awakened to this. The natural process of awareness for a controlling ego is to only be aware of what serves the ego first and foremost; this is the natural instincts of an ego in control. An ego not in control has completely different instincts which are usually influenced by a true sense of awareness and wisdom. 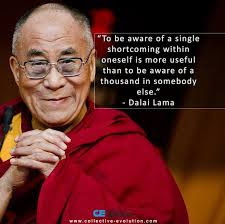 Take away the natural instincts of a controlling ego, what you are left with, and quite naturally without effort, is wisdom and a true sense of awareness void of any ignorance what so ever. We often make the mistake in trying to avoid the negatives and ego altogether, when in actuality all we have to do is become truly aware, and not just aware of what serves our controlling egos. The process of becoming truly aware naturally and automatically naturalises the effects of a controlling egos instincts, and yes, it is a natural instinct for a controlling ego to be destructive. We are presently worldwide going through a natural process in accordance with a controlling egos instinct; we are also experiencing what our truer being is aware of. All of what we are experiencing is what our truer being is aware of; our present experiences are not as negative as we might think. What we are going through could well be the start of a golden age for man, in the end looking back from this age, we won't be as judgmentally harsh of the negatives as we are now of our present reality. Not all that is negative will create more negatives; more often than not these negatives prove to be very positive, and, more often than not the positives create negatives; materialism is a prime example of this and so is our self-preservation which seems to be prevalent at present. We have always been apart of wisdom and awareness, it's like the spirit within all things is always present no matter how much we become unaware of this spirit. Basically, wisdom and awareness is this spirit within all things. It's an energy flow or source, like energy itself, that can never be destroyed but unlike energy that can be changed, this spirit within all things can't be changed or even discarded. However, a consciousness can become that unaware or even deliberately ignorant to this spirit that it can become highly destructive and corrupt in every sense. Take away the ignorance of the spirit within all things; all you are left with is awareness and wisdom which has always been present. People like me are now being censored because we tend to tell it how it is and we think for ourselves. The last thing a consciousness wants you to do, that is created using ignorance as a platform of existing, is think for yourself and talk about a better way of existing. What we are basically talking about here is a system that is based on fear. How many people fear losing any part of their material possessions or fear being singled out by the creators of this kind of fear based system of existence? Of course keeping a consciousness ignorant of its spirit helps keep a consciousness in fear, especially considering that the spirit within all things is fearless. A state of pure awareness and wisdom, the spirit within all things, has nothing to fear. The more we become unaware of this spirit, the more we fear for only in ignorance can a consciousness express fear. Yes, fear is a natural state for a consciousness to express when living in ignorance of it's truer being, however, fearlessness is also a natural state for a consciousness to express as well while being of it's truer self. The truer self being this spirit within all things that can never be changed by any other force as this state is infinite within its being. Of course what this means is that anything not of our truer being is finite in nature, this of course makes perfect sense because fear is highly limiting therefore transitory. Being that the spirit within all things is infinite in nature, which is a reflection of our truer being, it stands to reason why a consciousness in this state wouldn't exist in fear. It is wise to realise that the present human consciousness is expressive of a natural process of ignorance. This consciousness in a state of ignorance is naturally doing what it's suppose to do, however, at no time are we truly imprisoned by this kind of consciousness, not when you realise that our truer being is infinite in nature. No matter how a consciousness existing in ignorance tries to destroy or change this spirit, even within itself, there is no way it can. All it can do is try to influence a state of consciousness to become unaware which leads to a consciousness existing in fear. In a true sense, we have nothing to fear, only in truly realising this can we free ourselves of fear based existences. No matter what occurs within this reality, we have nothing to fear, and yes, it is this simple. Consider what you have to lose to start with, our life and our possessions, which are finite therefore transitory in nature to begin with, but you will never lose you spirit, your truer infinite being no matter what. I was once involved in a group that consisted of people from various degrees of awareness. A, so-called, higher degree of awareness basically means having the ability to observe without participating or having no urge to participate, particularly in the dramas of life. Within this group, as of any groups of people, there were the observers who never participated in these dramas, in actuality, they participated very little overall. I should point out that this group was about discussing spirituality and any perceptions beyond normal human perceptions, for example, the mind existing outside the human brain. Because I don't judge or observe one motion being any less or more worthy to experience, I at times became the participator in the dramas of the group at times. I remember one of the observers of the group saying to me that he couldn't understand why I was participating in the dramas of the group, being an obvious observer, I was suppose to know better. What occurs while becoming more aware through observation is that you observe with more bias, not less, however, once we become even more aware, these biases's lesson. Separating ourselves from the dramas of life is bias, especially when we consider ourselves to be of a higher consciousness or stature. However, this separation is only one part of the process of becoming aware and wise, it's not the ultimate level to be at as many people perceive. As we become aware and wise, we will observe more differences thus creating more separation, not less separation. At this stage of the awareness process, the separation between light and dark, black and white, negative and positive, good and bad, become more apparent, this is a natural part of the process. To be perfectly honest, we actually become more bias and judgmental at this stage, not less. Of course everyone expresses a different variation of bias and judgment, for example, I never went through the process of judging everything not of my own perceptions to be negative. I was lucky; I had a natural tendency to observe through a balanced mind set void of extreme expressions, however, this didn't stop me experiencing the dramas of life; this confused the observers of this group. Observation, particularly void of bias, helps us to become wiser, as only through unbiased observation can wisdom become more present in our lives. How do you become less of a participator and more of an observer void of bias? Put yourself in a situation or an environment that you detest the most. You can envision this but it is more effective if you physically act this out. Now sit there observing void of bias. At this stage of the process observing void of bias is going to be utterly impossible to do, accept this. At no time berate yourself for being of the ego or judgment at this stage; way too many have been conditioned to have an immediate bias towards the ego and negativity, avoid this at all cost at this stage of the process. What you are doing is conditioning yourself to observe void of bias as many people in the world are conditioned from birth to express bias judgment. As you allow your once detestable environment to condition you, you will find your bias judgments will disappear as if they never existed. It's not that you are accepting these detestable environments to be apart of your life, all you are doing is lessoning your own bias judgments while in observation. If applicable, it is even better to participate to a certain extent while still in observation, especially in observation of your own participation. If the environment you are observing/experiencing is too destructive, only observe to the point of conditioning yourself from bias judgments. So many people make the mistake by trying to avoid these so-called negatives at all costs; they indeed exist for a reason. Nothing exists by chance in realities of motion. When you learn to observe void of participation, which also takes one to participate at times to one extent or another, wisdom becomes a natural part of your conditioning. Think on this, uh, that is right, you can't think as you have judged thinking is of the ego, and we have to avoid, at all cost, expressing the ego in anyway!! It is your mind that is thinking, the brain is only a vessel for the mind to think through and the mind does not have to be of the ego, but of course it can be. As science has proven, the brain is never motionless but the mind itself can indeed become motionless through various conditioning processes, not controlled by the ego. Meditation is a popular practice to quieten the mind but so is the practice of observation of your environment, especially when the mind is void of bias. In the west, we are way too hard on ourselves; we expect to be less judgmental and less expressional of the ego straight off while becoming more aware and wise. One part of the process is to become aware to the point of experiencing more separation, not less, however, at no point is this part of the process the end of the process of becoming more aware and wise, but it is apart of the process to one degree or another, depending on a persons initial conditioning. Any initial conditioning, especially to extremes, is going to make this process more difficult. You will most likely fixate yourself to a particular part of the process and go no further, for example, experiencing love and light is but the start of this process, not an ultimate state. There is no ultimate state as such as many teachings teach/condition us to believe. All of what is, is the ultimate state void of separation, however, the ego will never see this as being an ultimate state, it has to be only of a higher stature!! I really do hope this helps someone understand this process of becoming more aware and wise. Try to become conditioned by a practice that passively conditions you, this means avoiding any practices that state that all the above is ego or negative and to avoid at all costs. Everything is within an environment for a reason, use it wisely and free yourself from non-passive conditionings. I do myself like eastern teachings, even religious teachings like Hinduism. They don't have the same course judgment of the negatives as we do in the west; it's far more passive and aware in my mind. As we lesson bias judgment, we naturally become more aware and wise, a state of freedom from bias judgments, even in participation. Love is a passive expression. else that is not of this love negative. for it is passive by nature. of today's expressions of love and light. Has this new movement of love and light become highly aggressive? Considering the conversations I have had with a number of people on this topic, and that anyone apart of this new movement often judge more, especially more of what is negative, it certainly seems it is highly aggressive. It is amazing what is negative today that wasn't before, and we are suppose to be judging less, not more!! Yes, the perception of love and light is observed by many as being a movement and a new movement. As of any new movement, it becomes a be and end all, the ultimate answer to our troubling world and minds. This alone reminds me of the religious Dark Ages, my movement/religion is the ultimate answer. 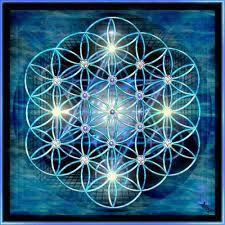 This movement is also new because it does not emulate the ancient teachings of love and light. These ancient teachings of love and light are and were not about extreme expressions to start with. They are also not about being in judgment more, in effect, judging more of what is negative. What wasn't judged as negative before is now judged as negative by this new movement today, for example, expressing a balanced view is negative. 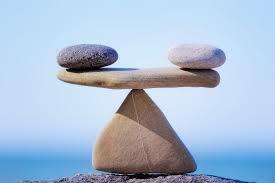 Balance of course pertains to wisdom. Speaking with other people as well on this topic, they mention how telling it how it actually is, is negative by this new movement, meaning, the truth is negative which pertains that this new movement is really of the non-acceptance of truths. This of course pertain that this new movement is really about lies. The similarities between this new movement of today and the religious Dark Age movements are obvious, not they are exactly the same but there are some significant similarities. Basing a movement on the non-acceptance of truths is but one of them, excluding wisdom and balance from a movement is another. It is quite disheartening for people like me to observe this occurring all over again; we are just not willing to free ourselves from these boundaries that we are conditioned to. I was repeatedly told, at an early age, not to read or study on certain subjects that were going to condition me to certain ways of thinking; this included a lot of new age spiritual teachings at the time. Even today this is the case. Only now can I see why, through my interactions with other people, I was told not to condition myself to certain teachings. Materialism is only apart of that conditioning, the other part is to do with spiritual conditioning, especially the spiritual conditionings that pertain to fear. How many people today fear expressing the ego, judgment and negativity? If you fear the so called dark side of life at all, you are conditioned to fear, however, it is also advisable not to fear being in fear either. Being fearful is part of the process of negating or neutralising fear altogether, it is wise to treat this as part of the process. It is also wise to treat fearing being fearful of negativity as apart of the process as well. No one part of the process is a be and end all, it is wise to be aware of this in my mind. As I have shown is previous posts, I'm all for love and light, what I am not for is love and light being used and abused in the same way as we have religion/spirituality as a whole. Perceiving and using anything as a be and end all to start with, is usually a prelude to abuse to a significant magnitude. For starters, we have an extreme within these expression of a be and end all. As many eastern teachings teach us to become less of motion (quietened), we instead us more motion within this excessive action of yet another be and end all. I find it awfully strange that views and expressions like mine, that are balanced unbiased, are often judged as being negative and even toxic by people of love and light. When did balanced views and expressions become toxic or negative? Probably at the same time that extremist expressions became normal and an acceptable way of expressing ourselves. Seen as wisdom is anything but of extremist views and expressions, it is obvious that wisdom has been replaced by these kinds of excessive actions. You take away wisdom; you take away even the slightest comprehension of balance. Of course within this state void of wisdom, balanced views and expressions are going to be judged as negative and toxic, primarily from people who are abusing this perception of love and light. The question is now, why isn't this love and light winning out over it's opposite, for example, ominous expressions and motions? To express an unbiased view, the world isn't becoming less ominous in nature but more. As of usual, this kind of reflection judged as negative and toxic, what I don't get is that spiritually aware people are supposed to be judging less, not more. When I look upon spirituality as a whole over mans entire existence, I find our present state of spiritual expressions just as radical as any other time in human history, this includes the religious Dark Ages. When balanced unbiased views and expressions become toxic, just like in the religious Dark Ages, it is obvious where spirituality is at, at present. What I also find strange is this love and light is suppose to be of unconditional love, this couldn't be further from the truth, not when balanced unbiased views and expressions become toxic. As of unconditional love, it is too obvious that many people trying to express love and light have no idea what a true sense of love and light denotes. Let's unbiasedly look at love and light overcoming ominous or destructive motions. How many people in human history have been killed or burnt alive, even within their own temples and churches like Buddhist monks for example, were of this love and light? If this love and light was that powerful, why did this occur in the first place? Why hasn't love and light overcome it's opposing opposite in human history? Of course this unbiased view is but another toxic expression, a strange expression of love and light I must say!! Let's look at the antediluvian period where we have opposing realms like Lemuria and Atlantis. Why was Lemuria, which was of love and light, overcome by Atlantis's materialism and power? Considering that Lemuria was of a much greater size realm than Atlantis, how did this love and light succumb to materialism and power? Ironical, I just received the following from a friend of mine. A true sense of love and light is indeed expressional of unconditional love; this includes expressing this to ominous destructive forces. It is obvious that these forces will always overcome a true sense of love and light, but only in realities of motion. Actually, a true sense of love and light doesn't belong in realities and dimensions of motion, however, a balanced perspective of love and light within these kinds of realities do. When you get abused for expressing balance, especially from so called light workers, this within itself is ominous. In actuality, anything not of balance is going to be ominous/destructive by nature, please expect this to be true. We are simply not using and utilising light and love in the correct manner in accordance with realities of motion. To me, we are simply being too excessive within our expressions of love and light in realities of motion. If we expressed this kind of love and light in a motionless reality, all would be fine but we are clearly not in a motionless reality. Consider this. No true expression of love and light would desire to change realities based of motion, the unconditional love of love and light stops this from occurring. Unconditional love also means to unconditionally love realities based on excessive motions, no matter how destructive they are. Love and light expressed to excess does not belong within these kinds of realities, these kinds of realities are not of love and lights reality to change, it's this simple. The way we continually use love and light is feeble within realities of motion and always will be. In all, our freedom will only come from balanced perspectives and expressions within realities of motion. There not dimensional portholes, its portals. 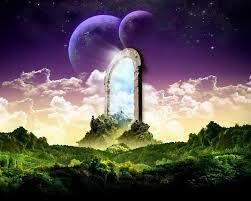 A gateway to other realities/dimensions is called a portal, not a porthole!! I often think outside the square, calling a portal a porthole is by no exception, in actually, by no mistake. I actually gave no thought to the difference or separation that these two words create; this is something I often do. We often think to the language we are most fluent in, as of any language, language is conducive to separation and to concise labelling, usually to give our human consciousness concise comprehension of our environment. Of course separating everything through language understanding isn't really that concise. As an example, concise meaning is to express much in few words, why so many labels then that refer to so many separate identities that can often be very simular in nature? 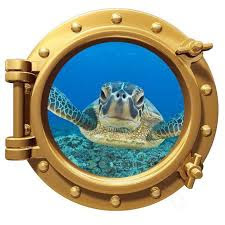 Imagine you are looking at a ships porthole from within a ship and that the porthole is closed by a porthole that you can't see out of. Now imagine opening up this porthole, what do you see? A completely different reality than what is in the ship itself. 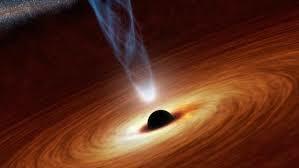 What occurs when you see into a dimensional portal is a completely different reality? This is exactly the same as if you were looking out of a ships porthole, often a completely different reality to your present reality inside the ship. Now imagine climbing out of a ships porthole and falling into the ocean while the ship is at sea. You instantly find yourself in a completely different reality to what is on the ship; this is no different to going through an actual dimensional portal. Like any dimensional portal, once you find yourself in the middle of an ocean, you may make it back to your initial or previous reality and you may not. Of course death is but another porthole/portal one will enter into to find themselves in another completely different reality, in actuality, entering into porthole/portals is a fact of life. As a porthole of a ship has a doorway/gateway to another reality to what is in the ship itself, so are demesnial portals, they really represent the same exact thing, a view to a different reality that we may or may not enter into. I am not into using language to separate everything and label everything within their given slots. Language, especially the English language, is into separating everything by looking at the dissimilarities within everything, not the similarities. Most people are unaware that they are conditioned to primarily looking at the dissimilarities within everything, for example, how often do we use the label negative or positive in turn creating more separation. As we become more spiritual, how often do we separate ourselves from everything else that we judge as negative or even toxic? How often do we use language to give ourselves separate labels to everything else that is judged as being non-spiritual? One of the reasons why my expressions are often incomprehensible to a lot of people, is to do with my views to life. Instead of looking for and at the dissimilarities of my environment, I look at the similarities. Of course in a reality based on looking at and for the dissimilarities, it is obvious that people like me are going to be incomprehensible to a lot of people. I suppose my semi-illiterate state doesn't help either, but only to a person into separatism and looking at and for dissimilarities instead of the similarities within our environment. Try to free yourself from the conditioning of looking for and at the dissimilarities of life, and try to use language to see these similarities instead of the dissimilarities. I received a few responses, in regards to my last post, referring to the inability to protect ourselves from portholes/doors that open up into ominous existences. You can liken this to a person who robs a bank thus instantly changing their own reality, especially when they are imprisoned. Our own reality can instantly change in a few seconds; incurring brain damage in an accident is another example. By having these doors open to us, our reality instantly changes, this can also occur when our minds enter through these reality changing doors, for example, inducing potent drugs or through mental projection. As we become spiritually aware or aware period, we do have more of an opportunity to open up more doors to other realities; this of course makes sense because we are becoming more aware. The doors to other realities we can open up to just through out of body experiences are amazing. Each door opens up to a new awareness, of course it is up to us if we are willing to become aware more by leaving the door open, or, stay unaware by closing the door again. Of course spiritual awareness is about an awareness of all of what is, not just what we desire to be aware of. This brings us to protecting ourselves in a better way. First of all, I don't judge what is or isn't negative or positive. To judge an ominous existence negative is exactly what the ominous existence or entity wants you to do. As soon as you judge like this, you instantly give power or energy to what you have judged in this way. No ominous existence or entity can exist without this energy flow for which we seemingly freely give energy to. Negatives instantly denote fear; through fear is exactly how these ominous existences and entities obtain their energy to exist. Being of love and light, as soon as we judge anything negative, we instantly ignore or separate ourselves from these kinds of energy flows. Again, this is exactly what this kind of ominous energy flow wants you to do, ignore it or stay ignorant to it because it is negative. We think the best way to stay of the love and light is to stay ignorant to these energy flows. Being that spiritual awareness is about becoming more ware, not less, I find this reaction quit strange. We are a part of everything void of separation; of course separation is due to our desires. We are apart of everything which includes what is ominous, of course a controlling ego will always go with the desire while denouncing it is apart of anything ominous. We are the ones that feed ominous existences and entities the energy they need to exist, this alone proves we are also apart of this kind of energy flow, however, this also means they are also apart of us, even while in love and light. This too is important to remember when opening up portholes/doorways to other existences/realities, you are always of this love and light no matter what. Think on this, how powerful would the financial elite be without the populous feeding them the energy they need to use against us to gain even more energy, more power and wealth? Everything that is ominous can only exist through sucking off energy from other sources, usually light sources that create enormous amounts of energy. The more energy a light source emanates, the more energy ominous energy sources have to use to exist by, and we ask why the world is noticeably becoming more destructive and uncaring. As I said, the more of the light and love we become, the more we desire to stay as this light and love, in the process, deliberately ignoring ominous energy flows to the extent of totally denying we are any part of these kinds of energy flows. How can't we be apart of something we are feeding so it can exist? So knowing that we are also apart of these ominous energy sources, why aren't people like me of these kinds of energy flows? This question is quite simple and the answer to this, which was once personally proven to me to be correct in every sense, is that we are all apart of one thing. It is not just the knowing that we are of, what Buddhism calls nothing or pure awareness or religions call God, but it's actually being this one thing in essence in every sense. It is advisable to focus on the essence within all things, religiously; this is known to be the spirit of God within all things, the spirit within all things. It is an essence that is within all things no matter how ominous an energy source becomes; this essence can never be touched or influenced by any other energy source. A lot of people these days also call this essence love, an untouchable energy source that is unable to be influenced in any sense. No matter what you call this untouchable unchangeable energy source, it is all of the same source. The answer is of course to not just know of this essence but be of this essence. Why are some religious people untouchable, even when their physical life is being destroyed? They know they are untouchable while being this essence within all things; Jesus is a prime example of this. I personally experienced this first hand when approached by ominous sources. All I did was express my awareness and being of this essence, this indestructible essence, and they fled in fear, not in fear of me but in fear of knowing they too are still of this same essence. No ominous source of energy wants to become aware, especially to this extent, for only can this kind of energy source exist in ignorance. Any kind of a pure display of awareness is most unbecoming to ominous energy sources, for their existence is purely based on existing in ignorance. Anyone of love and light, who expresses any kind of ignorance because they judge what is and isn't negative, is feeding this energy flow, it is this simple. The last thing we need to be is more expressive of ignorance to protect our love and light. Only through a true sense of awareness and being of this essence, can we stop the energy flow to these ominous energy sources. Realise these energy sources can only exist through us, which is very much the same as the financially elite in the world. As I often say, our environment often tells us what we need to know. Yes, I put Buddhism's nothingness and pure awareness under the same label as the spirit of God. As of pure awareness and nothingness, the spirit of God is also motionless; it all represents peace and tranquilly which is only obtained through being motionless. Pure awareness is motionless; this is why this state is often referred to as being nothingness in Buddhism. How motional is ominous energy sources? The motion at times is unmeasurable because it can only exist through other energy sources and for this to occur, a lot of motion is expressed. We are basically talking about pure ignorance here for if this source of energy was aware, they couldn't exist as they do. Why would a pure aware tranquil state of energy express motion, especially considering it creates its own energy? Of course we also perceive that all sources of energy are in motion, they are all vibrating therefore in motion. As I have done, you must find this out yourself that not all energy sources are in motion and vibrate. Our own conditioning in a physical reality has conditioned us to perceive otherwise. My advice is stay away from anything that makes you fear, even fear being of or expressing negativity or the ego period. It is too obvious that a lot of people of this love and light fear tarnishing or diminishing their love and light in any way, they also fear negativity or what they have judged as being negative, this is all based on fear. Mental illness is usually seen a negative and so are disabled people, do we stay away from these people because we are of love and light? When these people need so much of our assistance, we stay away from them because they are negative!! I look at it this way, anyone who is obvious within their ominous behaviour are seriously disabled through utter ignorance. To egotistically save our own love and light, we ignore and stay away from these negative people. The present perception is to primarily look after yourself first and foremost so that this energy can envelope the world. This perception sounds awfully like the (I) to me which truly represents egotism and ignorance from anything we judge negative. It is too obvious that this kind of love and light is based on fear, it certainly not the way to use love and light in my mind. People like me don't fear expressing the ego or being negative is some way, we instead become aware, usually through the help of the environment, of the ego and try to stay away from judging what is or isn't negative. Like I stated before, once you judge a negative, you are in turn feeding this negative exactly what it wants to exist. If we didn't judge so many negatives, could these negatives exist? They simply need our energy to exist and this is exactly what we are presently doing. We certainly need to free ourselves from this entanglement in my mind, however, as usual, what will be will be!! This is most peculiar, a gateway that can be open or closed or even partially open or closed. What is peculiar about this is when we relate the gateway to the mind, which can be open or shut or partially ajar, a gateway to other realities and existences. When closed, the mind is no longer transcending beyond its own understanding. When open, the mind is subjected to relatives that are usually beyond the minds comprehension, this is until the mind finds recognisable familiarities within these relatives. The only reason we comprehend these relatives is due to these familiarities. These familiarities occur through the mind remembering bits and peaces of what it is; only in this can the mind comprehend these relatives. If the mind is closed, the mind is unable to relate to these relatives no matter how hard it tries to comprehend beyond its present understanding of what it is. A closed mind sees itself being only of the physical brain, it's closed off from comprehending the mind being anything else but of the physical brain. A closed mind will never comprehend beyond what it is unable to relate to, this is until the closed mind finds something it is familiar with beyond its present understanding. If nothing is familiar to the mind, the gateway will close again. For the gateway to stay open, the mind must find something or remember something of what it is beyond this closed mind, only in this is the mind able to comprehend these experiences thus keeping the gateway (mind) open. It's wise to look at the mind as being a gateway to other realities and existences, within this; our comprehensibility becomes acute and so much more prevalent. However, no matter how open your mind is, if you still look upon the mind as being a physical entity, your comprehensibility beyond physicality will be hindered. It's handy to look upon the mind as a star-gate as the mind after death and through various out of body experiences, can transcend time and space. The mind isn't what we are conditioned to think it is, it's not just physical or of the ego mind, it transcends way beyond this, this is why I often mention the ego and divine mind in my posts. The ego mind is often related to the physical and the divine mind is often related to the non-physical. We also relate the mind to thought, it's only attribute is thinking, even when it's the mind that helps us enter into thoughtlessness. A mind that thinks its own mind is only of physicality and ego, will only comprehend to this limitation, which the only attribute the mind has, is to think. This is true for a closed mind but not for a mind that is truly open. A truly open mind relates to the mind also being silent, non-physical and egoless. As consciousness itself has no limitations, neither does the mind, it's not limited to physicality or ego. The mind can transcend these limitations as it transcends beyond these limitations in death or through various out of body experiences. A good way to comprehend this is again see your mind as a star-gate, a gateway that goes beyond all physical limitations. It's difficult for a closed or partially open mind to comprehend that the mind itself is a gateway to start with. Think of this then. When we daydream, use our imagination or dream, it's our mind that is opening up to all these experiences; it is the mind that is the gateway to these other realities. If you like, also see the mind as porthole to other dimensions. So the question is now, is the mind only a gateway to other dimensions, realties and experiences especially when open? Imagine the energy that is needed to feed this gateway, especially when open. I look at the rest of the body being this energy source for the mind, this gateway, no energy input to the gateway, no open gateway. The energy involved to feed the mind, comes from what supports the mind that is physical, the physical body as a whole. The body that supports the mind has to also be sustained by a constant energy source, usually from other physical energy sources, however, a mind that is non-physical is sustained by non-physical energy sources and of course this stands to reason. To answer the question, the mind is primarily a gateway, a door to other dimensions, realities and experiences, however, the energy that sustains the gateways is also apart of these gateways, the human physical mind is prime example of this. The energy source that supports the physical mind, is also apart of the brain that the mind resides in. Now this is interesting, we have an energy source that feeds the mind, we also have an energy source as the brain to support the mind. We then have the mind itself that relies on energy sources to exist; this is while the mind is residing in physical sources of energy as in the physical body and brain. What then supports the mind in non-physical realities? 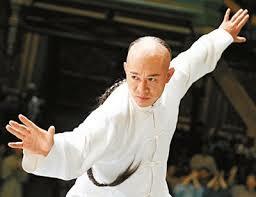 The soul of course which seems to act as the physical body including the brain. As a soul, the body and brain seem to be of one entity, this is where the spirit or the essence of life itself within all things comes into it. As the human body acts as a vessel for the brain to support the mind to reside in, the soul becomes the body and the spirit becomes the brain for the mind to reside in. It makes sense to relate the physical brain to the spirit within all things. Consider this, what would we be without the physical brain? Now, what would we be like without the spirit within all things? In both instances the mind couldn't exist for there is no support for the mind, the gateway, to gain energy to function. Yes, the physical brain to me represents the spirit within all things. What about the things that don't have a brain, have they then no spirit? This is going to hurt a lot off egos. Any existing thing without a brain is more of the non-physical spirit within all things than anything with a brain. The physical brain disconnects us from this non-physical spirit within all things by just purely existing, of course it is the mind that determines how disconnected we become. Imagine existing on pure spirit void of a physical brain, it is difficult for a lot of us to comprehend this as we are conditioned to the brain, not this pure spirit within all things. We are indeed conditioned to separate one from the other, to separate the human body from the soul, the brain for the spirit within all things. Through this separation, we are unable to comprehend the connections between physical and non-physical entities and relatives. Within this there will be no familiarities thus keeping the gateway closed. You can see where the energy and support comes from for the mind to be able exist and open up to various possibilities which are truly endless. The possibilities are indeed infinite but only if we keep the gateway, the star-gate, the porthole, the mind, open. Note: I should point out; none of the above came from any other source but through channelling. There was no observation or analytical thought process involved here; this primarily all came to me as I wrote this post. My lovely wife came across the following rhyme after hearing me speak of how wisdom is no longer apparent within our daily existence. My wife only observed the wisdom of the rhyme, not what the rhyme was actually portraying, that men do not hear or listen enough. The wisdom being that we can speak too much and not hear enough of what we are speaking about, this was basically what the discussion with my wife was about. My darling wife did not observe the actual meaning of the rhyme but the wisdom of the rhyme. 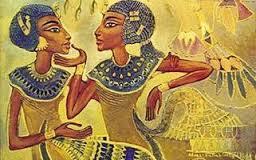 There was no depiction of a negative or positive, black or white, within her observation of the rhyme. This kind of observation is very rare it seems, observing the wisdom in things before anything else. "There was an owl who lived in an oak tree. The more he heard, the less he spoke. The less he spoke, the more he heard. Oh, if men were like that wise bird." The following was in response to the question of making allowances for people who are unable to comprehend anything beyond their own conditioning. The conditioning here is pertaining to expressing extremes as opposed to expressing balance. In the west in particular it would seem, we are conditioned from birth to exist in separation with our environment, is this a relative excuse to ignore what our natural surroundings can teach us about balance? When you also consider a lack of being conditioned to wisdom, I think this is a relative excuse to ignore what our environment can teach us. However, I think many of us are at the stage where we are deliberately ignoring what our environment can teach us. Of course when we gain wisdom, we see it quite differently as you seem to have done. Wisdom is an important relative towards observing the balance in our environment. We seem to have gotten to the point of deliberately ignoring instead of just being unaware, probably because of the lack of wisdom. I think any consciousness existing void of wisdom is going to be imbalanced therefore extreme and destructive by nature. There is nothing wrong with existing like this, however, if we are serious in changing our ways, we need to be aware and more conditioned to wisdom than separation it would seem, this clearly isn't occurring. The reason I say this isn't occurring, is we are obviously still fixated to extremes. Any expressions of extremes indicate that the said consciousness is any thing but conditioned to wisdom. All extremes to me indicate separation to excess; it is obvious this kind of existence/consciousness is void of wisdom thus unable to observe balance within the environment. Basically, we no longer have the tools to observe and learn balance from our environment any more. We instead replaced wisdom with separation through excess expressions of extremes. The following is another response I gave in relation to comprehending anything not of our own mind set, especially words of wisdom. Wisdom is certainly being replaced with extreme reactions and counteractions these days. The means of learning from wisdom is still there, it's just we seem to have gotten to a point where we no longer able to comprehend wisdom as this, particularly in the west. We might become aware of this kind of wisdom, but we don't truly comprehend its meaning, we have lost this ability through our fixations to extremes it would seem. Spirituality is being used and abused once again as a feel good practice; it was never intended for this. Spirituality to me is about connections beyond human conscious understanding, feeling good comes at best to this, actually, feeling good is apart of the natural process of becoming connected. We have indeed abused this once again for self-gratification. Wisdom is the ability to observe without bias, at no time is this kind of observation a state of excessive thinking and analysing; it's a pure state of observation. As an example, there are no true black and white's, negative and positives; there is only observation of motion void of analytical analysis. There are no true wrong and rights, only expressions of motions. As spirituality is suppose to be about connections, it's also supposed to be about wisdom, this again is no longer the case it would seem. Extreme expressions and self-gratifications have nothing to do with a true sense of spirituality and wisdom to me. It's sad to see spirituality being once again abused in this fashion. I also wrote the following in response that all validation is of external sources. Also, the mind is a doorway to other worlds, realms and realities; we often comprehend that the mind is just of a physical spectrum. Indeed, to know you are abundance takes a balanced mind to realise this in the first place. A mind focused on extremes will never realise this abundance, only the abundance found externally which is often transitory. All extreme expressions are external. 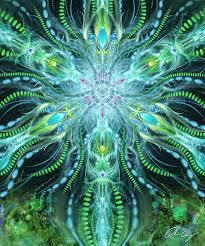 The mind to me is a doorway to external and internal worlds/realms. We often make the mistake and think that the mind is of external worlds only, of the physical worlds. Having balanced views assists us to use the mind as a doorway to our inner world, a world we have often forgotten about. External validation isn't quite correct because it's the mind that needs validation, and it's but a doorway to all worlds. 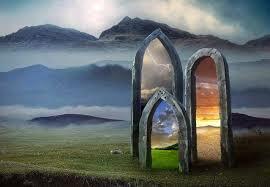 If this doorway is not balanced within itself, the worlds we experience through these doorways will be the same. How many people look upon the mind as being a doorway, a gate to other worlds and dimensions? It's obviously important we have a balanced perceptions/mind. The mind is a stargate, this is obvious for the mind still exists after so-called death. The mind indeed transcends realities, if the mind is imbalanced, so is the realities experienced, even after death. We look upon the mind as an external entity that needs external validation, big mistake in my mind. My mind receives more validation from internal sources than external sources these days, only because my mind is open and aware to all I am, not just to all I desire to be of!! How many people truly comprehend that the mind is but a doorway to other worlds, realities and realms? We have been conditioned to think the mind is only a physical entity and anything of the mind is of the ego mind. 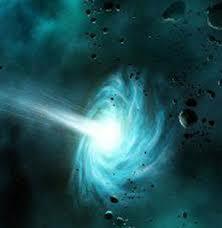 Everyone's mind is indeed a stargate, a gate/doorway to limitless infinite conscious occurrences. Yes, most of what I write about is incomprehensible to a lot of people; this has been stated to me a number of times. As the ego mind often does, anything incomprehensible, especially when it questions our own perceptions, is often refuted and denounced. If I did this myself, I would be aware of very little these days. We desire to be free from our environment around us, but we are at the same time unwilling to let go of extreme expressions that negate wisdom. Only in and through wisdom will we truly be free, the problem being, one has to be wise to some extent in the first place to start being truly free of our own extreme expressions. Can a consciousness become that extreme within there expressions, that the said consciousness will be unable to free itself from these limiting extreme expressions? I have observed that many of us have reached this stage, in the process, denounce any wisdom in the contrary to their own extreme expressions. Collectively, we are in a mess, a mess we have created ourselves, however, there is an answer to this, but we must be willing to free ourselves from our extreme expressions.